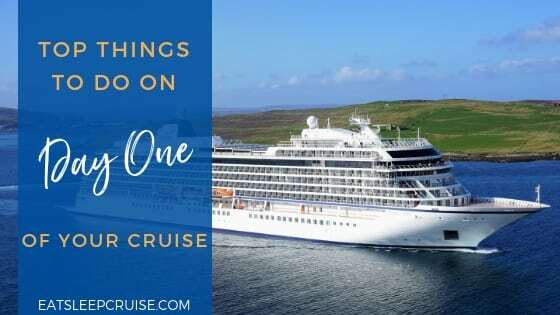 The Manhattan Cruise Terminal in New York is the year round home-port for the Norwegian Gem and Norwegian Breakaway as well as the seasonal home port for Carnival Sunshine and Disney Magic. 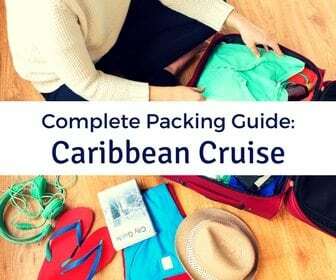 The Cape Liberty Cruise Terminal is the home-port of Royal Caribbean’s Anthem of the Seas and the seasonal home for Celebrity Summit, and is under an hour away from NYC. 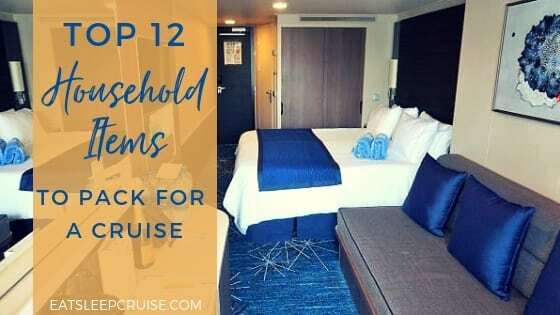 If your ship departs from either of these destinations, you should definitely plan a pre-cruise or post cruise stay to visit The Big Apple. 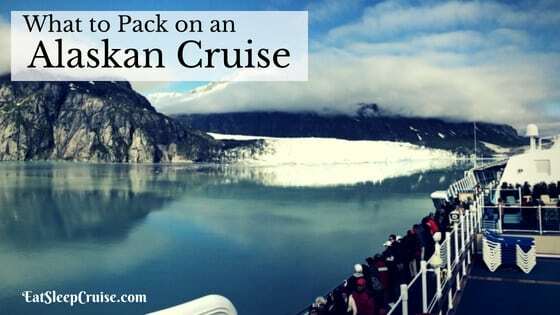 But with limited time, you may be wondering how to make the most of your time in the city. We were in the same boat (bad pun intended) recently during a two-day visit to the city that never sleeps. 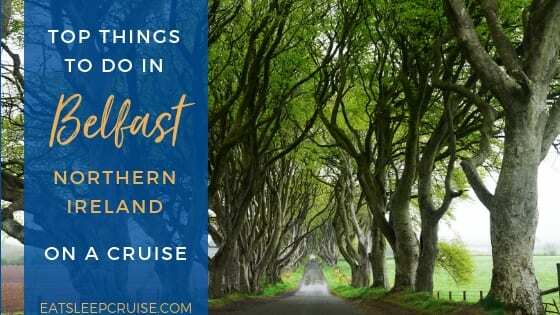 Comparing all of our options, we bought a package deal with Gray Line Double Decker Bus, giving us unlimited access to all of their tours, letting us explore the entire island and more, if time permitted. 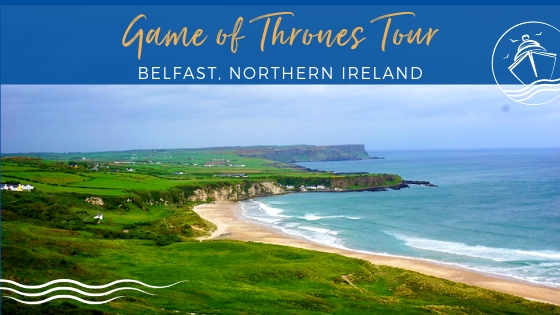 Armed with our camera and graced with beautiful weather, we spent hours hopping on and off this red bus at various stops on the All Around Town Tour. The results? 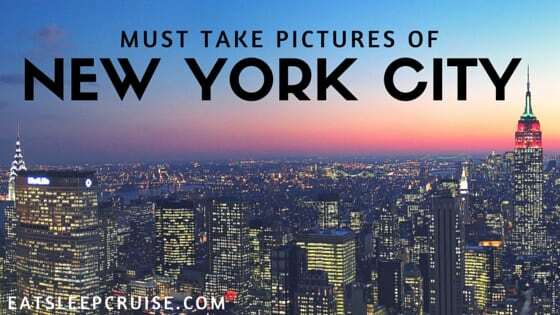 Our complete list of the Top 25 Must Take Pictures in New York City. While over 300,000 people pass-by this famous attraction a day, most of them are tourists. Times Square is the center of the Theater District and is a large commercial area. Given that this area is always extremely crowded, don’t be surprised if it feels much smaller than what you would expect from watching Rocking New Years Eve on your television. No stop in Manhattan would be complete without wading through the crowds as this landmark, complete with the Swarovski crystal covered New Years Eve ball, is a must take picture in New York City. The tallest building in the world when it was erected in 1931, this 102 story building remains an iconic structure even though it is now the 25th tallest building in the world. While you may think this building has government offices, it actually consists of public office spaces. Today, the Observation Tower on floor 83 is still one of the most visited sites in the city. 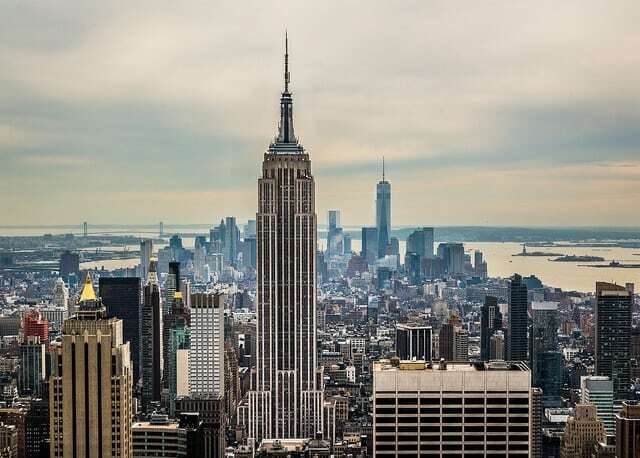 Either from the ground or from over 800 feet above the street level, the Empire State Building is on our list of must take pictures in New York City. 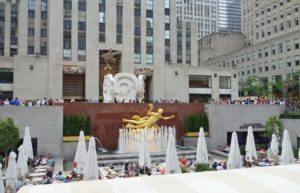 The largest department store in the world for 85 years with over 2 million square feet of retail space and taking up an entire city block between 34th and 35th Street between 6th and 7th Avenue, Macy’s make our list of the must take pictures in New York City. 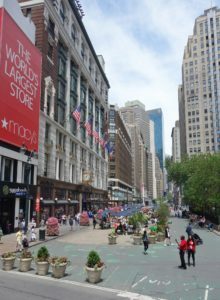 Also known as the ending location for the Macy’s Thanksgiving Day Parade, this mecca to shopping is a downtown city hallmark, even though the original location of the first Macy’s store in New York was actually in lower Manhattan on 14th Street. Madison Square Garden now located in downtown Manhattan between 7th and 8th Avenue is home to the NBA’s New York Knicks, the WNBA’s Liberty, and the NHL’s New York Rangers. This arena holds 17,000+ sports fans and is also known for a variety of other musical acts and sporting events including boxing. 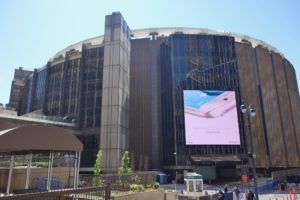 While the future fate of this landmark is unknown due to plans to expand Penn Station, which is located below the arena, Madison Square Garden’s facade is a must take picture in New York City, for now. 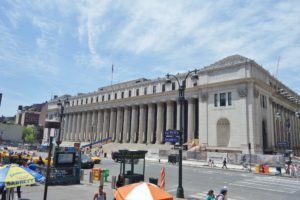 Most people do not think of a post office as being picture worthy, but when it is the largest post office in the United States, spanning two city blocks and over 8 acres, then you may consider grabbing a wide lens for your camera and grabbing this must take picture in New York City. Not to mention, the Farley Post Office is the only location in which you can send a post card and have it stamped New York, New York, with a 10001 zip code. If you have time, grab a post card and sent it to yourself, or family and friends, to let them know you were in the center of this iconic city. Even if your trip to New York does not include a musical, you still need to head over to Broadway. 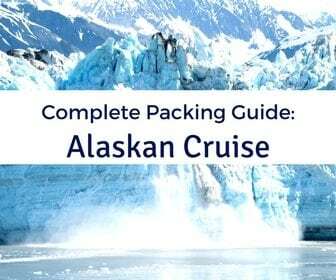 With several different Broadway shows and theaters to choose from, you can take your pick. 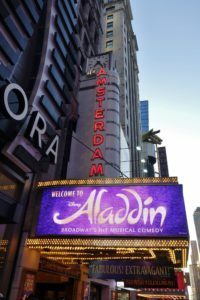 From the new Disney’s Aladdin playing at the New Amsterdam Theater to Wicked at the Gershwin Theater which has been running for 12 years now, there are a variety of shows and theaters for your Broadway selfie. 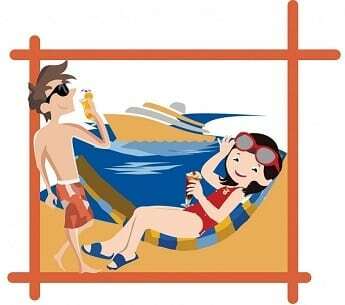 Who knows, maybe you will get discovered? 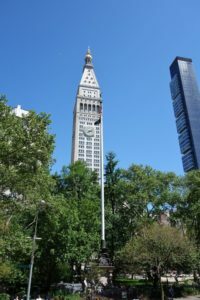 For close to 100 years, this building, located on Madison Avenue at 24th Street, was the world headquarters for the Metropolitan Life Insurance Company. Located behind Madison Square Park, the tower is now home to other financial institutions. Famous for its clock tower, with a 26′ diameter and each number measuring in at over 4 feet, this building is a must take picture in New York City. In spring of 2015, Marriott opened the The New York Edition Hotel, which comprises the upper floors of the tower and allows guest to stay in rooms directly behind the clock’s face. One of the most iconic skyscrapers in New York City, the Flatiron Building is also one of the most photographed buildings in the world. 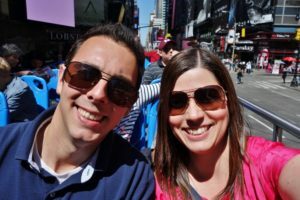 So, of course it makes our list of must take pictures in New York City. 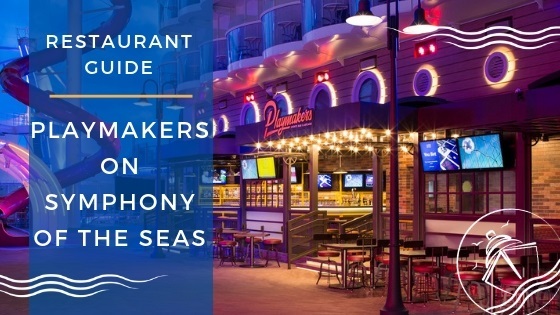 When it was built in the early twentieth century, architect Daniel Burnham designed the building to be distinct from the early block style towers with a style that was influenced by Greek columns. 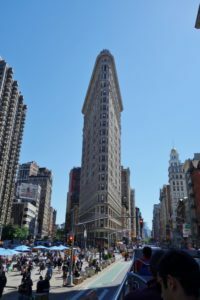 Lucky for you, the building is conveniently located near Madison Square Park, and it is hard to take a bad picture of this marvelous feat of engineering. 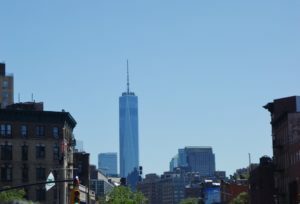 Currently the tallest building in the Western Hemisphere towering 1776 feet tall, One World Trade Center, dubbed “The Freedom Tower”, is the main building of the new World Trade Center complex. Depending on where you are in lower Manhattan, you can grab a variety of skyline photos of this impressive building. Recently opened to the public, the One World Observatory allows visitors a one of a kind view from atop of this groundbreaking skyscraper. Not to mention that the new tower contains shopping, dining, and plenty of office space. The same complex is also home to the 9/11 Memorial and Museum paying tribute to the those impacted by the terrorist attacks of September 11, 2001. 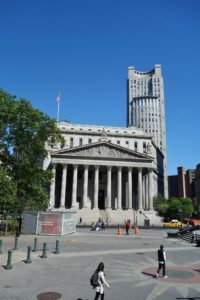 Located in the same courtyard as the United States District Courthouse, the New York Supreme Court in Foley Square probably looks familiar to you. No, I do not think you are a criminal, but this notable building was made famous by the show Law and Order. The main characters of the show are seen walking down the stairs of this courthouse in the opening credits of every episode of this long running television show. Now, you too can reenact your own scene from this show and capture yet another must take picture in New York City. 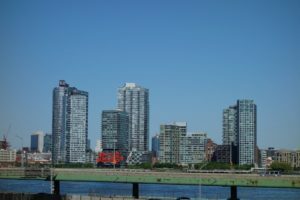 Undergoing a revival in the last couple of years with new rental spaces and the expansion of Gantry Plaza State Park, the waterfront of Long Island City is worthy of another must take picture in New York City. Home to the former Pepsi bottling plant, this area may have been re-purposed, but this one of a kind sign has been standing since 1936. You will want to capture this cityscape from one of the great stops on 1st Avenue. 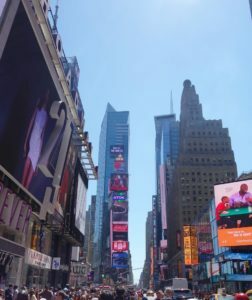 We have all seen those city backdrops used in movie studios and theme parks, so when in New York City why not create your own movie magic with one of the many city street views. While plenty of these city street backdrops may be photo worthy, we particular like 5th Avenue; in this shot, you can see the iconic Woolworth Building in the background, standing almost 800 feet into the sky and topped with its Neo-Gothic design. 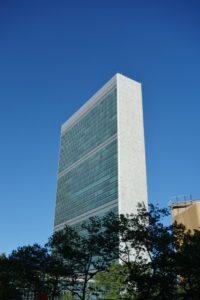 If you are interested in debating some world politics or being able to interact with the global community, then a stop at the world headquarters of the United Nations, located on the east side of Manhattan, should be on your list of sites to see when in the city. Since 1952, this building has served as the official home of the 193 member states and includes offices for all members and the general assembly building for meetings. 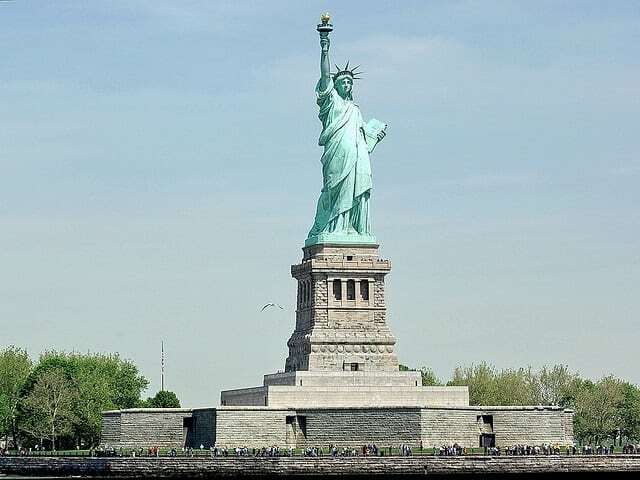 On her own little island in the Upper Bay stands one of the most famous women in America, the Statue of Liberty. Of course, this symbolic gift from the French government in 1886 has to be among your must take pictures in New York City. 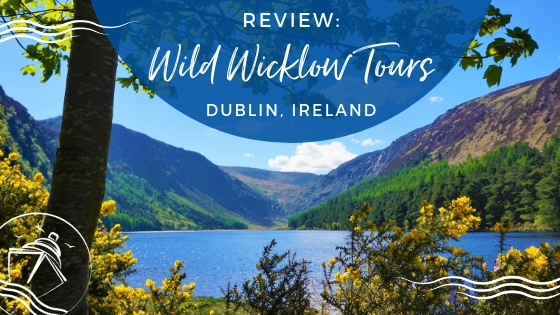 While visible from many points on the southern tip of the island, you can also take a short cruise to get up close and personal with this 350 foot tall monument to Freedom. 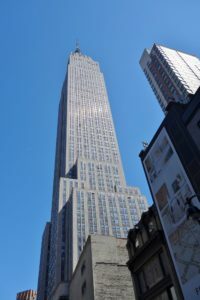 Honestly, your camera lens will not be wide enough to capture just one panoramic view of this 22 acre and 19 building area, Rockefeller Center; although, you can get some great pictures from The Top of the Rock. One of the most recognizable features is the Lower Plaza which, in the winter, is home to a skating rink and a massive Christmas tree. Next door is 30 Rockefeller Plaza, or “30 Rock”, home to NBC New York studios and shows such as The Tonight Show with Jimmy Fallon. 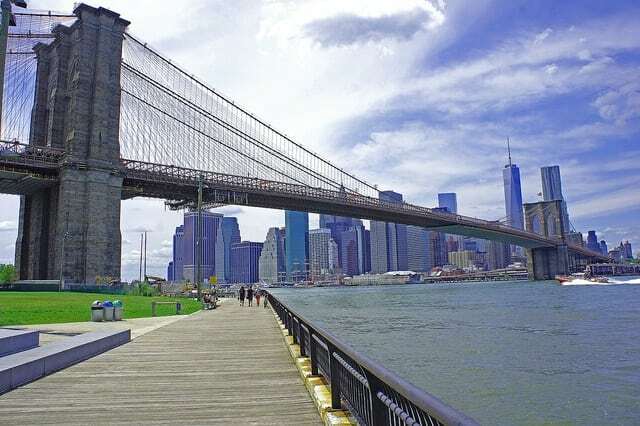 One of the oldest bridges in the United States, The Brooklyn Bridge was the first ever steel-wire suspension bridge. While an engineering feat, rumors that the bridge was not stable and would collapse led many residents to avoid using the bridge when it opened. Confidence was restored a year later when P.T. Barnum’s circus paraded 21 elephants over the bridge. Today, thousands of pedestrians and automobiles share the roadways each day on this nostalgic and memorable bridge that connects the burrow of Manhattan to Brooklyn. Located in the heart of the Financial District is Wall Street, the home to the New York Stock Exchange (NYSE). 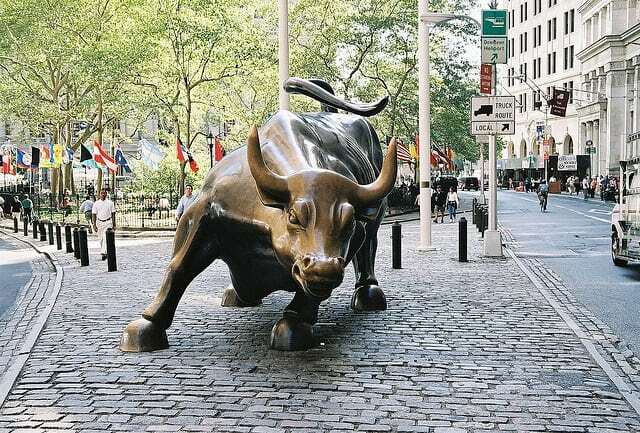 No other image is more associated with this mecca of money than the Charging Bull, the bronze sculpture located in Bowling Green Park. A representation of optimism and prosperity, this 11 foot tall by 16 foot long statue was installed in the park in 1987, following a tumultuous stock market crash. In all fairness, there is so much to do and see in Central Park that you will need to take multiple pictures. 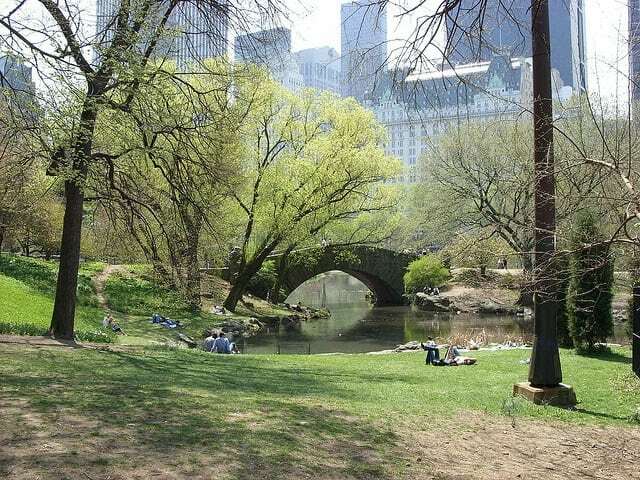 This 800+ acre park, located in the middle of the island, includes multiple statues and fountains, the Central Park Zoo, five visitor centers, open lawns for relaxing, a variety of man-made waterways, and many other notable buildings and features. Even an entire afternoon in the park may not be enough time to capture all that Central Park has to offer. While it may not be Los Angeles, New York City is also home to many well known musicians, actors, business executives, and celebrities. And, that means that some of our must take pictures in New York City focus on these famous peoples’ homes. 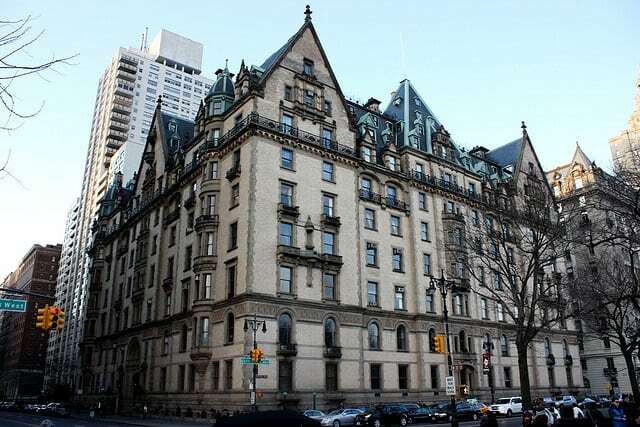 For example, The Dakota is a 130 year old cooperative building directly across from Central Park that is one of the most exclusive places to live in the city. It was the NYC home to John Lennon, and the location of his murder. 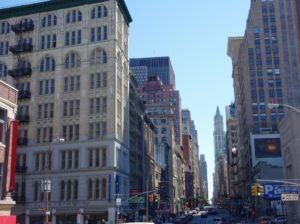 Other famous tenants of this building include football legend John Madden, actress Judy Garland, and composer Leonard Bernstein. 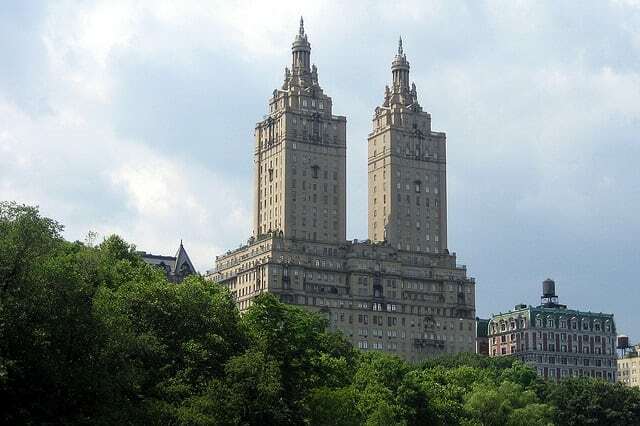 A bit further up the street is the San Remo, another magnificent apartment building overlooking Central Park. Many celebrities have called this building home including actors Demi Moore and Bruce Willis, golfer Tiger Woods, director Steven Spielberg, and fashion designer Donna Karan. As the general of the Union Army during the Civil War, and later a two-term President of the United States, Ulysses S. Grant was one of the most courageous leaders of the 19th century. After his death in 1885, plans were made to have a national monument dedicated to this hero. 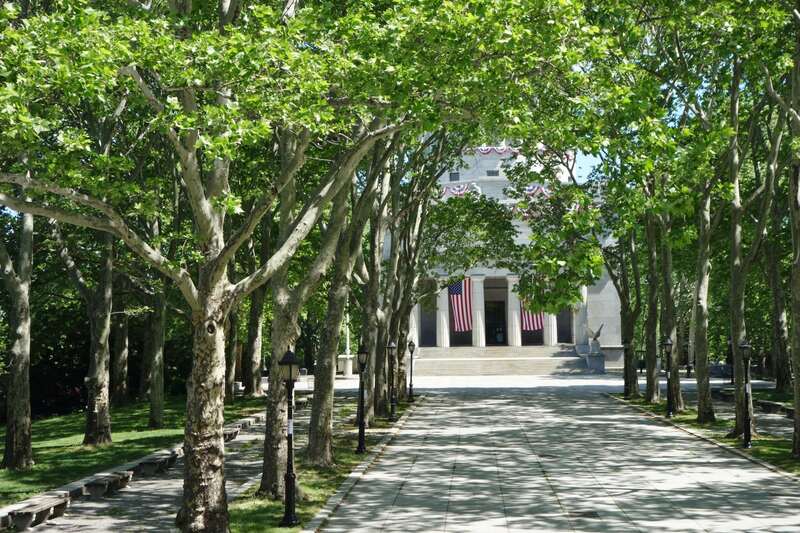 The end result is the General Grant National Museum on the Upper West Side of Manhattan where both he and his wife, Julia Dent Grant, are entombed in the largest mausoleum in North America. New York is certainly a notable entertainment hub. 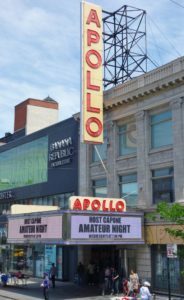 The Apollo Theater in Harlem is known for being one of the first venues to host African-American entertainers that would later become household names such as James Brown, BB King, Stevie Wonder, and Mariah Carey. Still to this day, a weekly amateur night searches for new talent. Located downtown, the Radio Music City Hall was first opened in 1932 for stage acts. 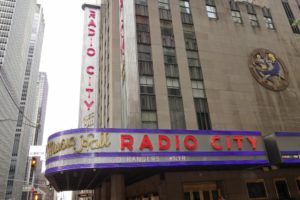 Radio City Music Hall is home of the dance company, The Rockettes and their signature show The Radio City Christmas Spectacular. The theater also hosts comedians and singers, as well as the television show America’s Got Talent. While the exterior of the Metropolitan Museum of Art (MET) is photo worthy, the real gems are located inside this 2 million square foot complex. 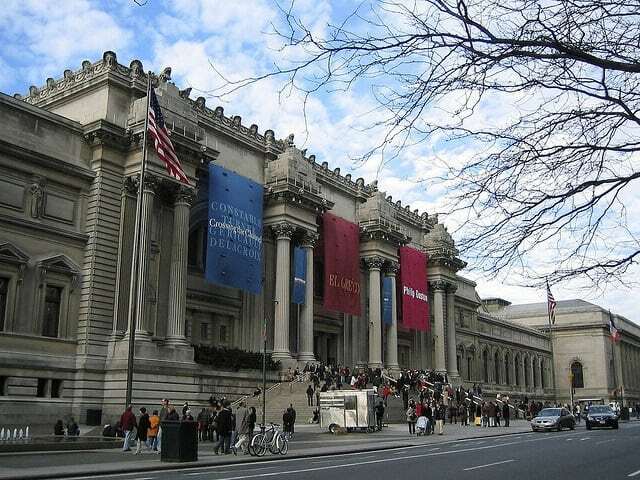 The largest museum in the Western Hemisphere, the Collection at the MET is not only extensive, but it is diverse. The MET covers time periods and cultures including Ancient Egypt, The Far East, and America, with artifacts ranging from paintings and sculptures to photographs and even weapons. 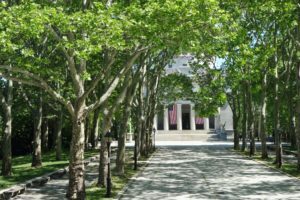 This museum has something for everyone, and it is sure to include many must take pictures in New York City! The old and the new can be found throughout New York, with modern touches added to historic buildings. 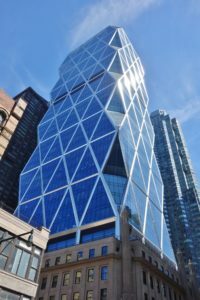 For example, the Hearst Tower near Times Square. The world headquarters for the media company that publishes magazines such as Esquire and Cosmopolitan is a mix of a stone facade building built in the 1920s and a high rise glass building that was the first “green” office space built in New York City when it was completed in 2006. 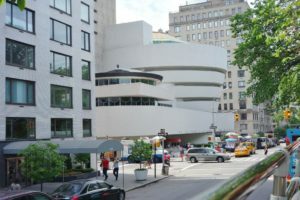 The modern looking Solomon R. Guggenheim Museum on the Upper East Side is another unique architectural feat that makes our must take pictures in New York City list. Built in the 1950s, this cylindrical building broke new ground in museum design, creating a more intimate space for patrons to come and enjoy the modern and contemporary art found in the collection. 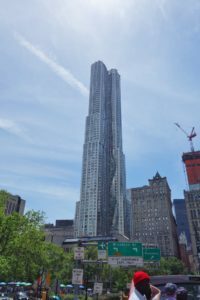 The New York by Gehry, located at 8 Spruce Street, is one of the most acclaimed modern skyscrapers for its design and aesthetic. It is the largest residential tower in the world, housing over 900 rental units and even an elementary school. This unique design, comprised of stainless steel, can be found in lower Manhattan near the Brooklyn Bridge. Opening in 1907, the Plaza Hotel was designed to embody the elegance, sophistication, and opulence of a French Chateau. 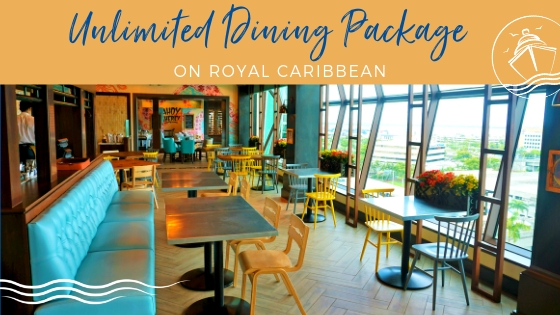 Now, while the hotel has retained much of its traditional design and class, it has been updated with more modern and luxurious accommodations to suit the 21st century celebrities, politicians, and other dignitaries. 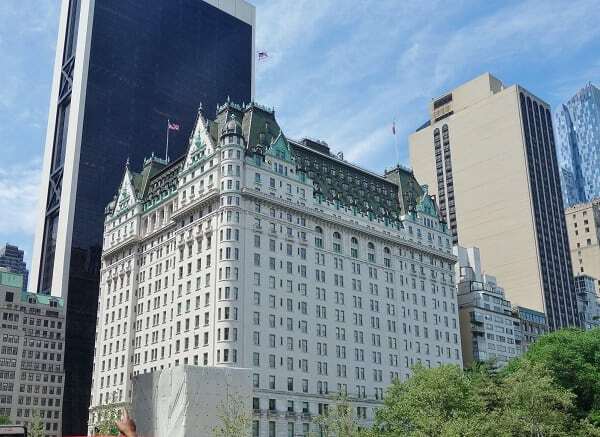 As the only New York hotel that is designated a National Historic Landmark, The Plaza Hotel is worthy of making our list of must take pictures in New York City. 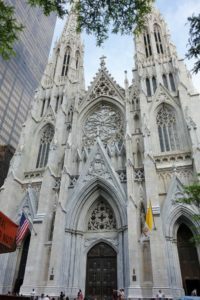 If you need a little bit of inspiration during your trip to Manhattan, then you should consider making a stop at some of the landmark places of worship in the city. 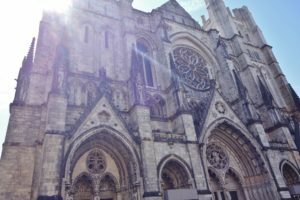 Near Central Park, you will find the massive Cathedral of Saint John the Divine, the largest Anglican cathedral in the world and the fourth largest Christian church in the world. Another city landmark, The Cathedral of St. Patrick, is a Neo-Gothic designed Catholic church and the largest such church in North America. 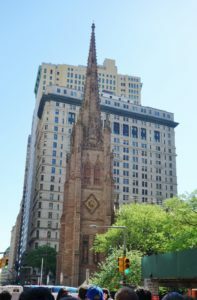 Located near Rockefeller Center, this historic landmark has just finished a renovation of the exterior; although, work is still ongoing to complete the $175 million restoration of the 135 year old church. Still, you can marvel in the unique architecture and interior altar and art work including stained glass windows. Located in the center of Wall Street, the Trinity Church stands 281 feet tall. When this third Trinity Church (The first was destroyed by fire, and the second was torn down due to weather damage.) was erected in 1846, the spire and cross were the tallest in New York City. 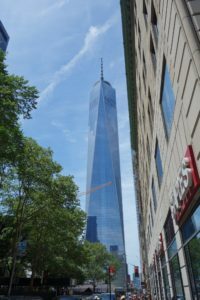 Despite being located in close proximity to the World Trade center, the Chapel remained completely intact after the terrorist attacks of September 11th and became a center for aid workers and first responders in the months after the attack. What is your favorite must take picture in New York City? 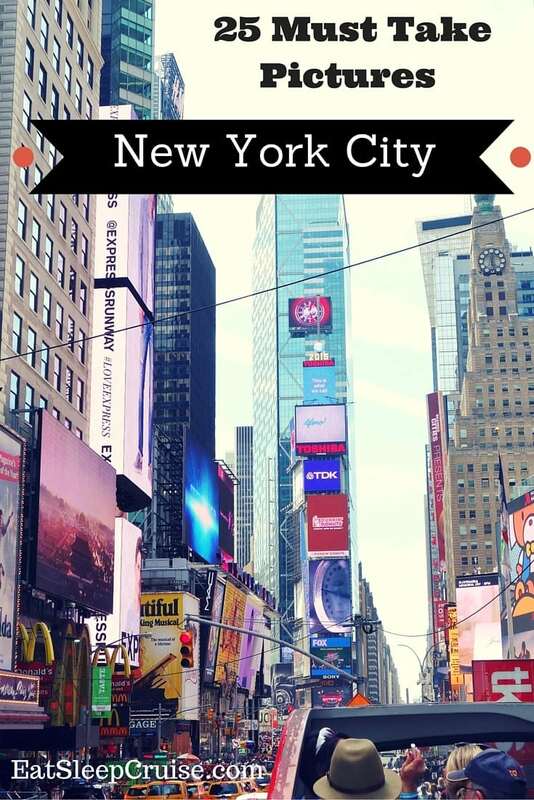 Have you taken a city tour in the Big Apple to visit all of these iconic landmarks? 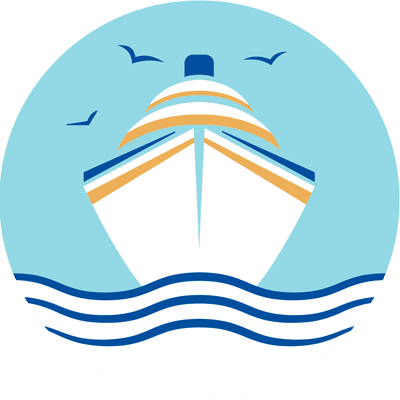 Drop us an anchor below to let us know if we missed one of your favorite Manhattan attractions on our list.